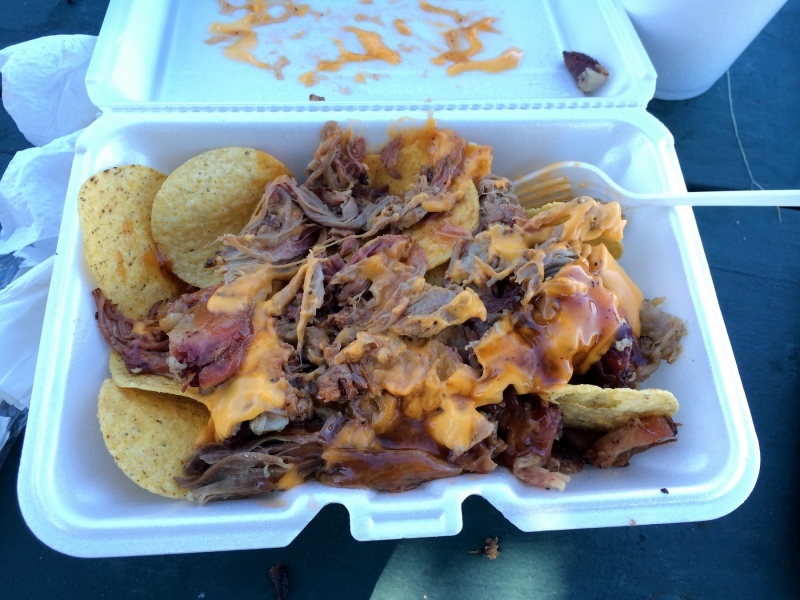 There is a familiar scent in the air as thousands of people converge on downtown Paducah to take part in the 23rd annual Barbecue on the River. The riverfront festivities, which kicked off Wednesday night with the music-filled fundraiser "Porkstock," continues through Saturday. An organizer estimated there will be around 40,000 people in attendance and around 90,000 pounds of meat consumed. As Kentucky health advocates extol data showing children in the commonwealth are increasingly covered by health insurance, some experts are highlighting issues that could undercut those recent gains. In mid-September, data released from the U.S. Census Bureau showed nearly 97 percent of children under the age of 19 had health coverage in 2016. 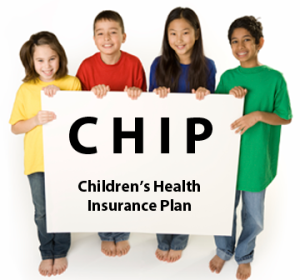 An estimated 37,000 children were insured since 2013. Those gains have been credited by groups such as the Medicaid and CHIP Payment and Access Commission to policies that are facing scrutiny by lawmakers and state executives. To pass the state survey each year, nursing facilities must meet hundreds of criteria. These address not only nursing care and resident safety, but also patients' rights, food services, administration and the facility's environment. Surveyors spend several days in the building reviewing paperwork, observing resident care and interviewing residents and associates. 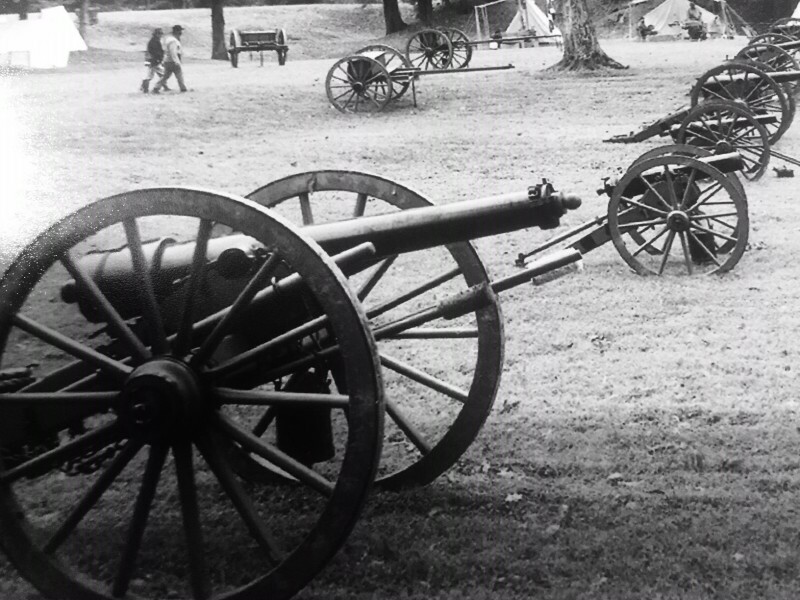 The weekend will include battle reenactments, living history, and encampments. Friday is "education day". Schools, scouts, groups, & clubs are encouraged to schedule field trips. Battles will be held at 2:00 both Sat. and Sun. featuring skilled reenactors bringing history back to life. Battles are narrated. Livingston Ledger - Livingston County 4-H Teen Club Leader Dominique Wood, 4-H members, Jada Cosby, Abigail Calender, Karlie Moore & Hallie Repovich visit the Smithland Chamber of Commerce in December. Carlisle Co. News - Carlisle County leads the state of Kentucky in the highest percentage of job growth since June of 2009. West Ky. News - The scholarship is an enrichment program for outstanding African American juniors enrolled in the city & county school systems. Carlisle Co. News - The MCAC trailer was on the Carlisle County School Campus Monday, Tuesday & Wednesday. Livingston Ledger - Smithland Chamber of Commerce presented Livingston County School Superintendent, with a Certificate of Achievement. Livingston Ledger - Representatives from Pine Bluff delivered 3 pickup truckloads of food to the Livingston County Helping Hands in Smithland. West Ky. News - The Conservation Garden was created to honor conservation efforts of those associated with the establishment and development of Clarks River National Wildlife Refuge. Livingston Ledger - Smith Funeral Chapel is pleased to welcome Jeff Armstrong as their new General Manager at their Smithland Chapel. West Ky. News - Most homeowners see a tree stump in their yard as a nuisance, but Sam Dunning sees the beginning of a masterpiece. Carlisle Co. News - On November 10, a Veterans Day Celebration was held at the Carlisle County School. 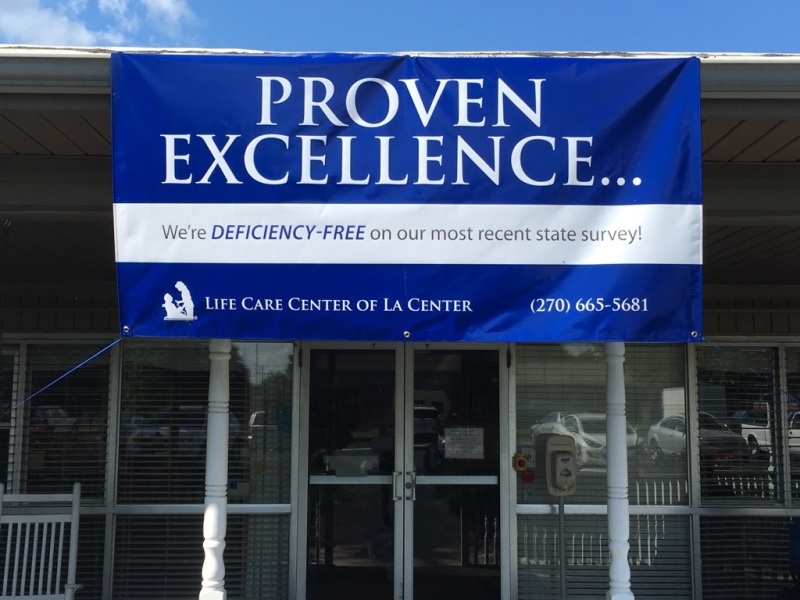 Livingston Ledger - Owner, Denny Wood & his staff take great pride in giving their customers a wide variety of items, in addition to filling all their prescription drug needs. Advance Yeoman - "This is the perfect time to clean out some of those toy boxes & make a needy child really happy this Christmas." Livingston Ledger - Fay's Furniture and Antiques has been in business since the late 1990's and is a place you can find just about anything. Livingston Ledger - Shop owners, Samantha Ramage & Wade Chandler are celebrating their first year in the shop. Livingston Ledger - Rainey will compete in the National Barrel Horse Association World competition in July 2015. Carlisle Co. News - Columbus Belmont State Park came alive with reenactors, vendors and visitors as the 24th annual Civil War Days played out once again. Livingston Ledger - The upcoming Civil War Dinner will be held at the Livingston County High School on Saturday, November 8, 2014. Livingston Ledger - The new Village Market and Café opened their doors on Friday ushering in a new concept in grocery shopping. Livingston Ledger - The Smithland Area Chamber of Commerce did a fantastic job organizing this event. Advance Yeoman - Owner and operator, Matt Dixon, has been a barber for twenty years. Advance Yeoman - In his second year after taking control of the Smokey D's team at the 20th Annual BBQ on the River in Paducah, Justin Smith led the team to the top prize of Grand Champion. West Ky. News - A ribbon-cutting ceremony was held on Tuesday morning for a new homecare business. West Ky. News - More than 400 people attended West Kentucky Community and Technical College's Scholarship Auction. Advance Yeoman - Community Development Advisors led the meeting in which the entire 42024 community had been invited to. 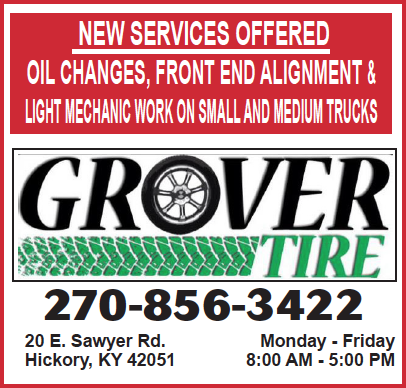 Livingston Ledger - Leo will be focusing his attention on customers advertising with the Livingston Ledger in Livingston & Crittenden counties and other special editions produced by Kentucky Publishing. Advance Yeoman - A new addition to Sutton Drugs in La Center is certainly a familiar face in Ballard County. Advance Yeoman - For the second time in three years, the Ballard Memorial Lady Bombers will represent the First Region in the Touchstone Energy All A State Volleyball Tournament. Carlisle Co. News - Folks enjoyed the day by browsing through the vendor booths. Livingston Ledger - Come by the Levee Restaurant to enjoy delicious sandwiches and plate lunches. West Ky. News - McDonald's in Murray is finally back open. West Ky. News - The American Queen Steamboat visited Paducah for the day as part of their "Bourbon and Bluegrass" themed trip. Carlisle Co. News - Monday August 8, the Carlisle County Senior Center held a Ham and Bean fundraiser. Advance Yeoman - McConnell visited both Rudy's Farm Center in Kevil & Midwest Aviation at Barkley Regional Airport. Livingston Ledger - Folk Artists & Craftsmen Justin Roberts knows a lot about trees, willow trees to be exact. Carlisle Co. News - Teeters Antiques & Collectables is stocked full of unique items. Carlisle Co. News - Vendors line the rows with a variety of merchandise to offer. Advance Yeoman - All military personnel & military veterans were honored prior to the beginning of the game. Livingston Ledger - When you enter Poppy's Meat Market you will notice a clean, well-organized store with a wide variety of items. Livingston Ledger - The Summer Dance consisted of food, fun, fellowship & lots of good music. West Ky. News - Signet Federal Credit Union is having a $1 Million Dollar Celebration & 5 local charities will benefit from their success. Carlisle Co. News - On Sunday August 23, members of Milburn Baptist Church took a trip to Reelfoot Lake. Advance Yeoman - T's Beauty Boutique will be the only full service salon in Wickliffe. Livingston Ledger - The 39th Annual Arts & Crafts Festival will be held on Labor Day weekend. West Ky. News - Wally & MaryAnn Mittendorf are in their 2nd year of business at Lou Lou's Country Farm. Carlisle Co. News - A large crowd gathered for a Republican event held at the Bardwell Fire Department. Advance Yeoman - Angie Yu, President Two Rivers Fisheries, recently hosted "Celebrating Businesswomen in Ballard County." West Ky. News - Kyle Smith has stormed into the public eye like a hurricane. West Ky. News - They invite you to join them the first weekend of October to celebrate this new adventure. Carlisle Co. News - Campaign signs, costumes, and loud opinions peppered the venue. Carlisle Co. News - Allison Lundergan Grimes made a stop in Smithland to visit with democratic supporters. Carlisle Co. News - The produce is donated by local farmers to the PADD Office in Mayfield. Carlisle Co. News - The event opened at 10am and was enjoyed all day by the many picnic goers. Advance Yeoman - The second round of fun in the mud at the Ballard County Fair brought out even more Spank the Monkey and Mud Bog fans. Livingston Ledger - Gun enthusiast came out to support the Happy Feet Equals Learning Feet fundraiser. Advance Yeoman - The Ballard County Office of Emergency Management & the Ballard County School district teamed up on Monday to host a mass causality exercise. Livingston Ledger - The Fair kicked off on Friday July 11th with the Beef and Poultry Show. Carlisle Co. News - New additions will include a drive thru window, Godfathers Pizza, a grill, & a beverage cooler cave. Livingston Ledger - Searchers have scanned a vast area around Grand Rivers & parts of the LBL with no results. Advance Yeoman - With a brand-new coat of paint thanks to some dedicated students, one busy corner in Barlow is getting a fresh new look. Livingston Ledger - Serving the community has been a passion of his since the day he opened. Livingston Ledger - The staff at Mustang Round-Up Academy has focused on respect, taking responsibility, manners, and even cleaning up after oneself. West Ky. News - A group of fraternity brothers mounted their bikes in California, beginning 3,000-mile journey across the country. Advance Yeoman - Randy Grogan has been selected as the new CEO/General Manager of BTC. 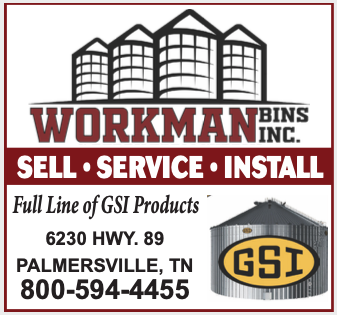 Advance Yeoman - Whatever service a potential client needs in the insurance field, KFB can provide it. Livingston Ledger - Alma Parish knows a lot about antiques and a lot about the community she has called home for over 75 years. Livingston Ledger - Finally at 2:07am Sunday morning the pillars could no longer hold the massive weight. Advance Yeoman - Several families came out to the annual Family Fun Day at Wickliffe Mounds State Historic site this past Saturday. Advance Yeoman - Relay For Life of Ballard County raised over $59,837. Livingston Ledger - Cindy opened Miffin’s Farm and Home Center in Smithland Kentucky in April 2007. Advance Yeoman - Several riders, trainers, & owners came out to take a chance at winning a piece of the purse money. Livingston Ledger - The only hospital in Livingston County takes pride in the services they provide. West Ky. News - On June 6, 2014 an exceptionally large gathering is expected in this historical section. Advance Yeoman - Gidcumb said the reception he received at McCracken County High School was unbelievable. Livingston Ledger - The program has grown to provide over 3000 pairs of shoes in 2013. 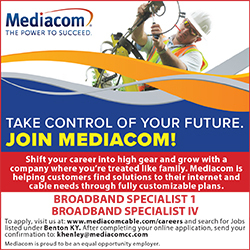 West Ky. News - A groundbreaking ceremony took place with U.S. Senator Rand Paul in attendance. Carlisle County News - The 30th Milburn Fire Department annual Fish Fry Day will be held Sat. June 7th. Advance Yeoman - Ballard County soldiers who fought in the Civil War were the focus of the Memorial Day Ceremony. Advance Yeoman - Monday Summit Environmental Services held a ribbon cutting at their new Kevil office. West Ky. News - Dr. Carolyn Watson was named a Melvin Jones Fellow at the KY Lions State Convention. Advance Yeoman - Man arrested in connection with an armed robbery at the First National Bank in Cairo. Livingston Ledger - A memorial to honor Livingston County Residents who have served in any branch of the military.